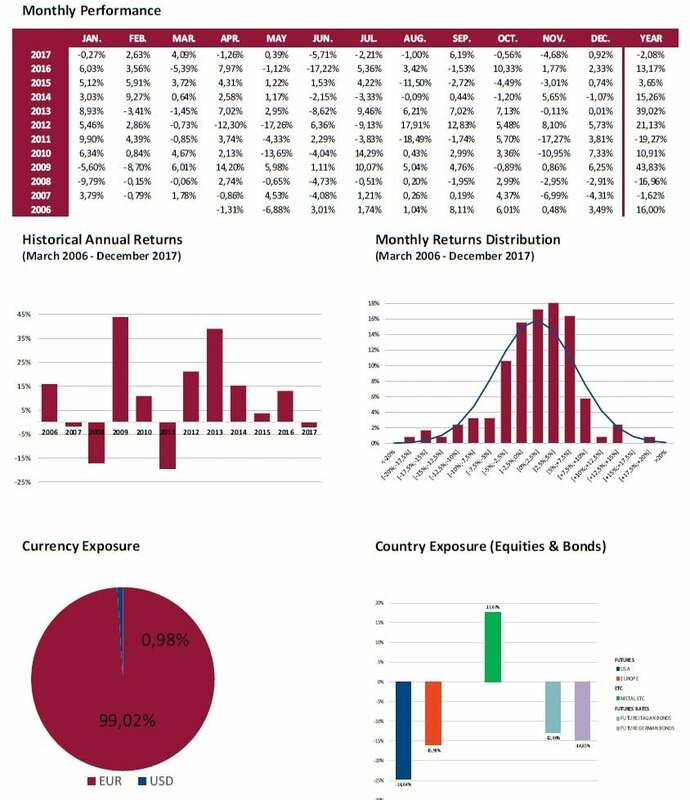 Global Allocation Fund commentary for the month ended December 31, 2017. In December we recouped a little from a year we cannot consider anything different than a bad year. Basically, we have been out of the market during those few days where there was something to gain, but a lot to lose. We have generally maintained long exposure to European equities during the year, but some few days like the French elections or some Draghi´s interventions. 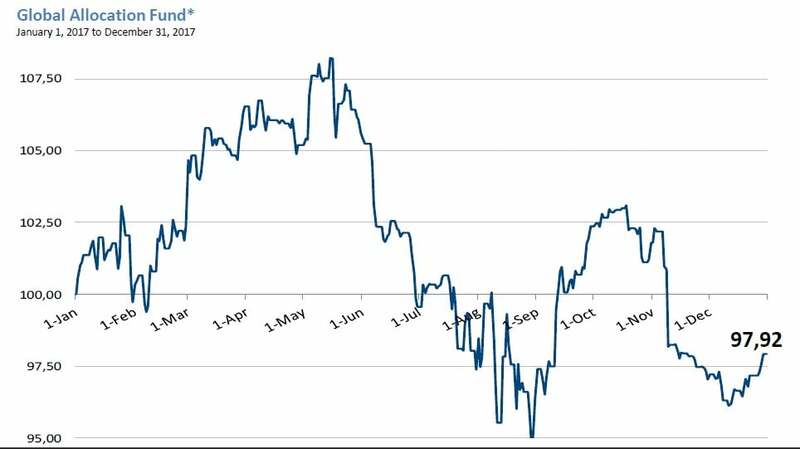 Obviously, the Banco Popular position cost us around 3% at the fund level (at the beginning of the year we held a 10% position), and the USD movement, almost 15%, did not help either. We have had an exposure of around 25% to USD, included our exposure to gold and silver, which performed well, but not in EUR terms. It did not help, we must acknowledge, our understanding of being through the last stages of an expansionary cycle, which as the year kept going, seemed more and more exhausted. Better said, in its final acceleration phase. From the 80´s, Central Banks have been pushing interest rates lower and lower, and bond prices gained accordingly. But not only fixed income, this huge movement has influenced any asset susceptible to generate an income. During this period we have suffered to big bubbles, namely the dot com bubble, with the consequent sharp reduction in interest rates by Central Banks which engineered a recovery by inflating a bubble in Real Estate assets, provoking the Great Financial Crisis of 2008. 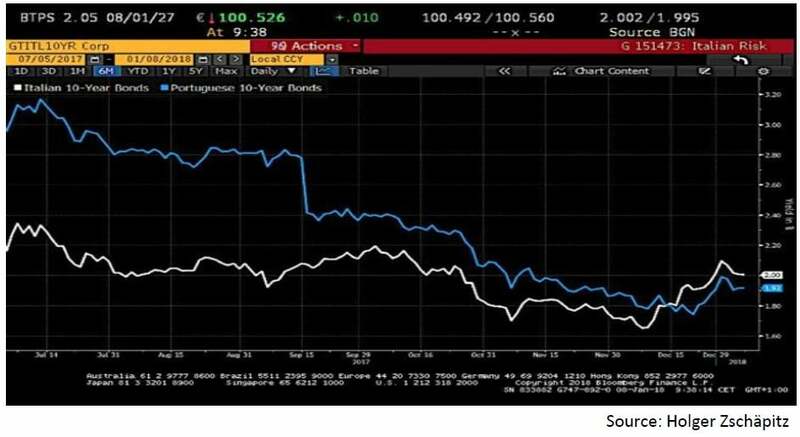 After the crisis, when interest rates hit the 0% lower bound (In Europe they remain at -0,4%), other ways of stimulus were implemented through the purchase of government bonds (corporate bonds as well in the case of the ECB and, in the case of Japan, even equities). These purchases were meant to reduce the yield on those “risk free” government bonds, affecting the valuation of mainly any other asset. This stimulus has been funded with newly printed money by Central Banks, with no additional support. The excuse has always been to achieve inflation, helping the repayment of debt. And has been maintained with the excuse that there is no inflation. Inflation can be controlled through the changes in interest rates. If we push them up, economic agents will prefer to save rather than consume, and vice versa. We have not found a book that explains what happens when interest rates are negative. The reality: Savings depends almost exclusively on the consumer´s optimism about the future. If people thinks their jobs are save, they will tend to spend more and save less. If they believe their salaries are going up, they won´t save. If they are afraid, they will save more. After the Great Financial Crisis, we witnessed a great surge in savings, even though interest rates were at 0%. Now, the Federal Reserve has slightly increased interest rates to 1,5% and markets expect them to reach 2,5% by the end of 2018. But savings rates have collapsed. In fact, savings rate in the US is at the lowest levels we saw before the year 2000 and 2008 crisis. Inflation is the increase in consumer prices. This increase is implemented by companies, if and always that they have pricing power. It is the easiest way for them to maintain or increase their margins. Interest rates rises mean additional financial costs for companies. As well as the rise of salaries or raw materials, among others. When interest rates rise, companies will try to lift prices, or their margins will suffer. Therefore, higher interest rates mean more inflation and very low interest rates could even provoke deflation. This fact seems to be intriguing Yellen for some time, as well as many economists. It appears that this is not written in any book either. In the US, the S&P 500 is currently at its highest level of margins, even higher than before the above-mentioned year 2000 and 2008 episodes. ¿Culd they keep improving without generating any inflation? The answer can be addressed by looking at the Capacity Utilization. If we look at currents levels, we see it has greatly increased in the last months, meaning that non-inflationary production increases would mean lower margins. Not good for the stock market. Inflation, especially if it is high, could be produced by a distrust in the value of the currency. We have witnessed this several times through history and we see it very plausible it happens again. In fact, it is very probable that during the next crisis we witness a substantial increase in inflation. Should it be the case, this would have great implications as it would leave Central Banks without margin to add stimulus, at least according to text books, especially when talking about quantitative easing. Let´s say they would have run out of ammunition. 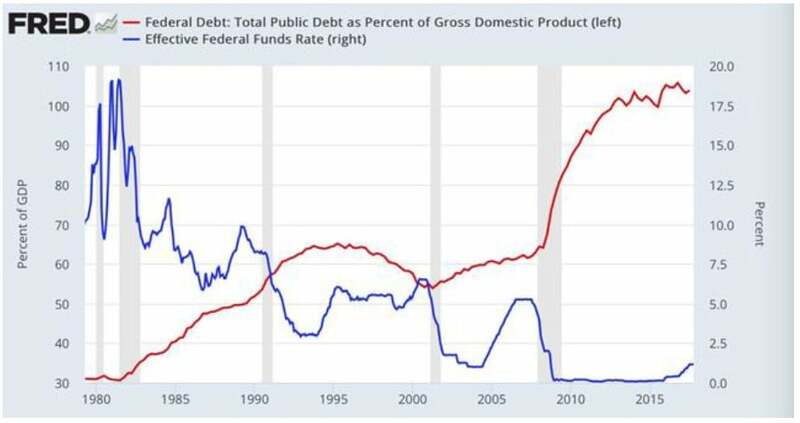 Adding to the equation is the current level of public debt to GDP, which far away from shrinking as it should during expansionary cycles, it holds at historically high levels, with very few exceptions. The cases of China and US are of especial relevance. The recent tax cuts implemented by the Trump administration and the announcement by the FED of its intention to reduce in part its bond holdings do not do anything but to increase the problem. One of the clearer symptoms of the distrust in fiat currencies is not other than the surge in cryptocurrencies. Even though it is honest to acknowledge that it has become a big momentum trade, the number of cryptocurrencies is more than 1.000 and its total value is almost 1 Trillion USD. The CEO of one of them has become one of the richest men in the world in a very short period. Google searches like “how to launch a cryptocurrency” or “purchase bitcoin with credit card” are beating records every day. is stocks, while they keep rising. The amount of wealth invested in equities is beating records by the day. It seems everyone thinks they will be able to exit before this turns around. Just like bitcoin. Furthermore, it is remarkable that liquidity levels are lower than ever. The same applies to short positioning. Hedge Funds are at their maximum exposure to equities than ever. We cannot find who will be the buyer when things turn around. Except us if we cannot withstand. 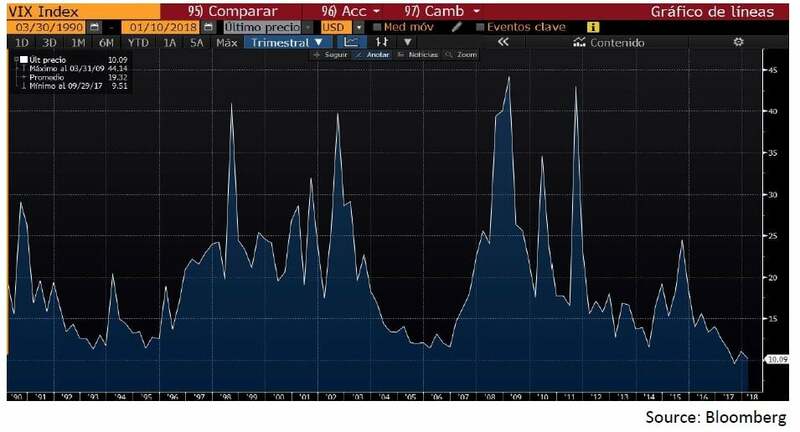 It is possible that we witness a crisis in financial markets even if interest rates don´t increase (they are timidly starting to increase now). As we always say, every crisis is finally a credit crisis. Credit markets are clearly in bubble territory, and it has been inflating for a long time now. In fact, both investment grade and high yield bonds are trading at spreads rarely seen before. Especially extreme is the level reached in Europe, where the ECB purchases have put spreads at historical minimums, leaving banks´ margins depressed in the way. They lose money for holding money and they will lose it for lending it. Any attempt to solve this problem goes through generating a new crisis. It is one of the sectors we are more pessimistic about, with especial worries about some “zombie banks” that are still around in Italy and Germany. We hold a short position in the Stoxx 50 bank sector. 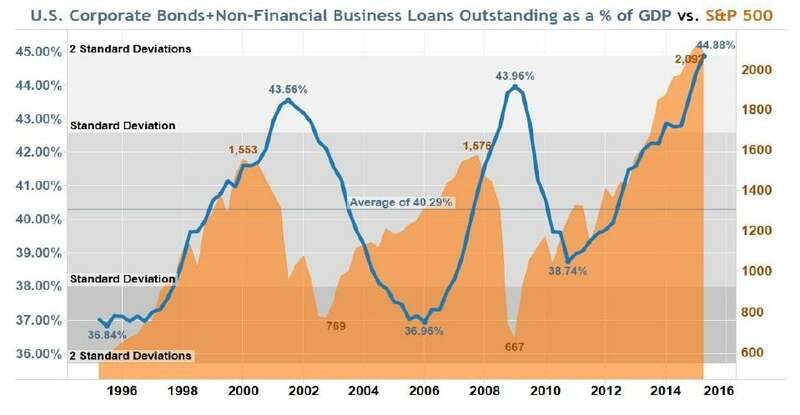 The availability of credit and negative interest rates during such a long time have been the principal boosts to US equities, where companies did not stop buying back their own shares by increasing debt. Corporate debt is now higher that ever, both in relative terms to GDP and in absolute levels. 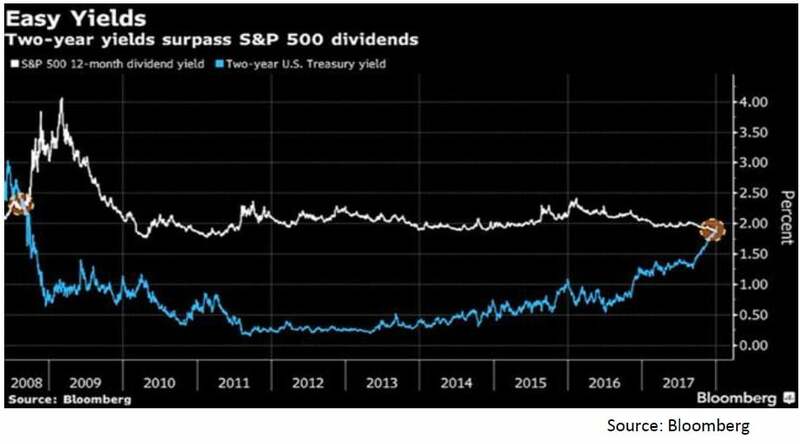 In any case, the price level of shares and the recent interest rates increases make this business harder to achieve (dividends are at 2% while two years bond yields are higher for the first time since 2008). We expect a clear deceleration in the rate of buybacks from companies, who have been the main buyer out there for the last several years. Margin debt, as well, is much higher than before year 2000 or 2008 crisis. On the other hand, in the US, the FED is starting to reduce its balance sheet at around 10bill USD per month rate, while the ECB keeps increasing it at a lower pace, 30bill EUR per month and the BOJ keeps increasing at the same rate, though in both cases GDP growth is accelerating, therefore the rate of increase compared to GDP is decelerating. 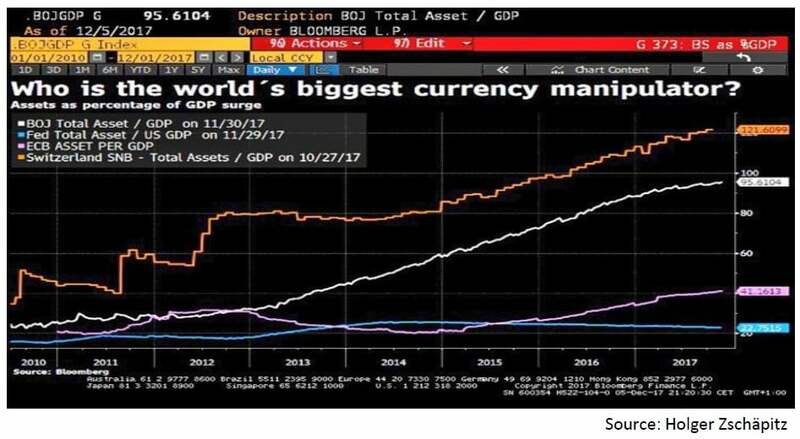 BOJ holds 100% of GDP in assets. With public debt north of 250% of GDP they did not have any other choice but to monetize it. 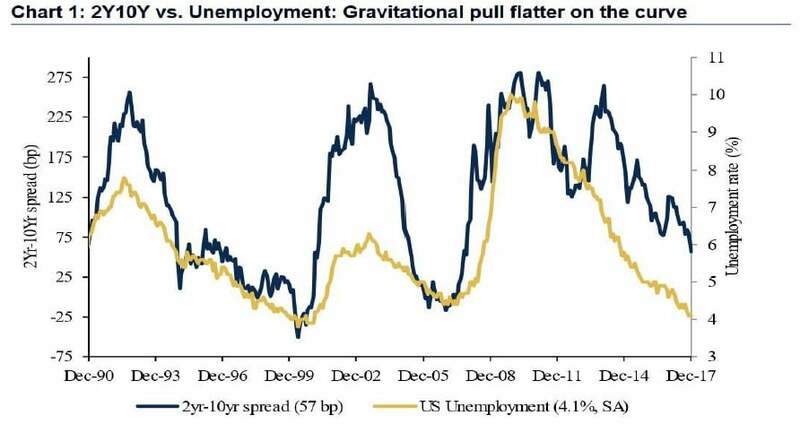 With healthy GDP growth mostly everywhere, unemployment rate in minimums in the US, Japan and Germany, it does not seem necessary to keep implementing ultra-expansionary monetary policies. Therefor, as we say, in seems that “there could not be a better moment for equities”, but for them to keep rising, we think bond yields need to increase. Thus, our current positioning is equilibrated. We are short 30 years German bonds, which are yielding 1,20%. A complete folly for an economy that grows at 4% in nominal terms, minimum unemployment level and Real Estate market at bubbly territory. As well, we are short Italian 10 years bonds. Italy debt to GDP is over 130%. There is still a looming insolvency problem within its banking system and the country is facing general elections in March. Not to tell that populist parties are gaining terrain as mostly everywhere in Europe. 10 years Italian bonds are at 2% now, much higher than Spanish (1,5%) or Portuguese (1,8%). Greeks have joined the party and their 2 years bonds pay less than its US counterparties. Apart of these, we are holding short positions in S&P 500, where valuation levels are above the 20´s level, and in the Russell 2000. This index is quoting at levels of 60 PER. We have explained many times how it is better to use indices than single stocks. The indices themselves work as stock pickers, as they naturally get rid of the worst performing companies, being substituted by the emerging ones. Active investors have a tough time to outperform indices. They do not achieve that in average and in the long term, only 5% achieve it. This fact is making investors to allocate more to passive instruments, much cheaper than traditional funds. Nevertheless, this huge movement is creating distortions which, in the case that there is a more or less intense rush to the exit, could mean a nasty bottleneck. Regarding the Russell 2000 index, opposite to blue chip indices, we must acknowledge that the companies that better perform exit the index as well, as they are not an “small cap” anymore. But if a company goes bankrupt, it does not leave the index. 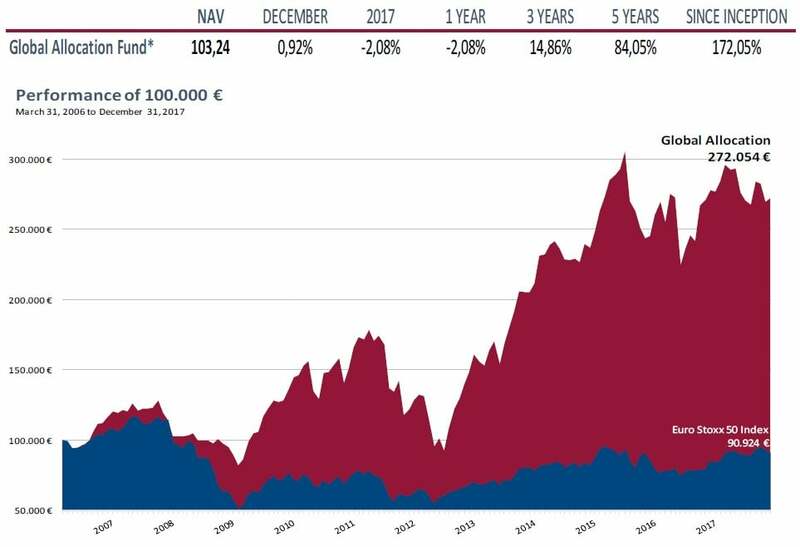 This very simple fact of the good companies leaving while the bad one’s don´t, makes us be very wary of what is the premium you want to pay for holding small cap companies. We consider this premium extraordinarily expensive now. Moreover, once you look at the developments in High Yield markets. Many of the companies in this index rely on the HY market. If investors decide not to refund anymore (this is a matter of when, not if…) those HY companies, many of them will go bankrupt. If only the Russell 2000 went to the maximum levels of 2007, the drawdown would be 50%, and the index would still be valued at 30 PER, in the unreasonable case that profits hold steady. With the current portfolio composition, include our longs in Gold and Silver (as a hedge to credit risk) we expect that if markets keep rallying, possibility that we do not dismiss, we most probably will have some loses, but probably not very significant (3% to 10% in a year time). To lose 10% stock markets should rally more than 30% from where they are now. 1.- Interest rates have a moderate increase and therefore risk assets valuations do not move or come moderately down. 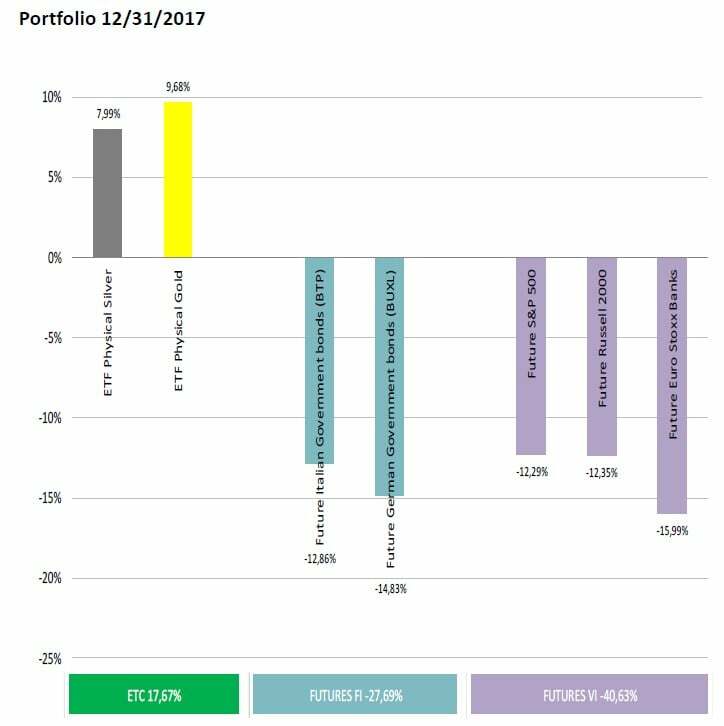 In this scenario our portfolio could make between 5% and 15% positive return. 2.- Some of the existing bubbles implode, or all the bond and credit bubbles implode at the same time, which makes risk assets suffer a lot. Under this scenario we could make 20% to 40% return. 3.- A sudden black swan shows up, like year 1987. Under this scenario we would obtain very explosive returns, higher than the point 2 above. The assignation of probabilities that we make to the different scenarios makes us think that our current allocation is the optimum one to profit for what lies ahead. We even think that we are being somehow conservative in our expectations. 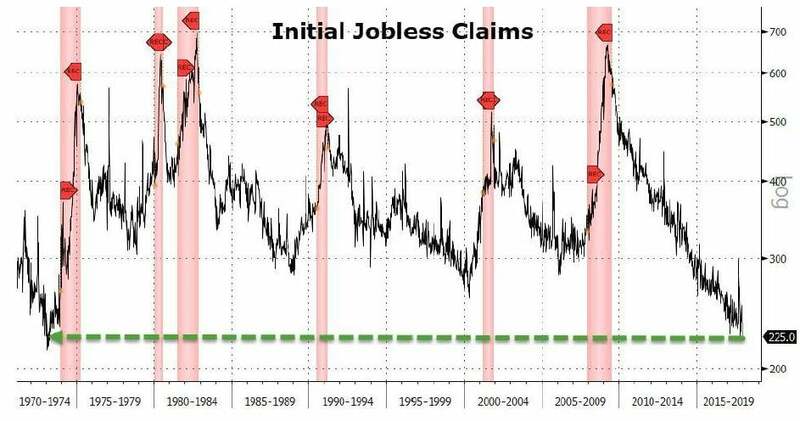 Especially regarding interest rates curves, which are already moving in pre-recessionary levels (even though we acknowledge that this time could be different as interest rates come from the 0% level). We are going through a period where unfortunately there are no good investments. The only option left is to speculate, hoping that someone comes behind and buys the asset you hold at an even higher misprice. We do not want to ruin anybody. To lose a little bit of money is something understandable, to lose a lot is something simply we do not want to do. Current positioning reflects this. As many other times before, we hope we are not convinced by the “I am losing it” mentality. To invest is an activity which requires a lot of patience. Things usually take longer to happen that you expect, but then happen faster you could imagine. As is being said around, we have gone from “risk free interest rates” to “interest free risk”. 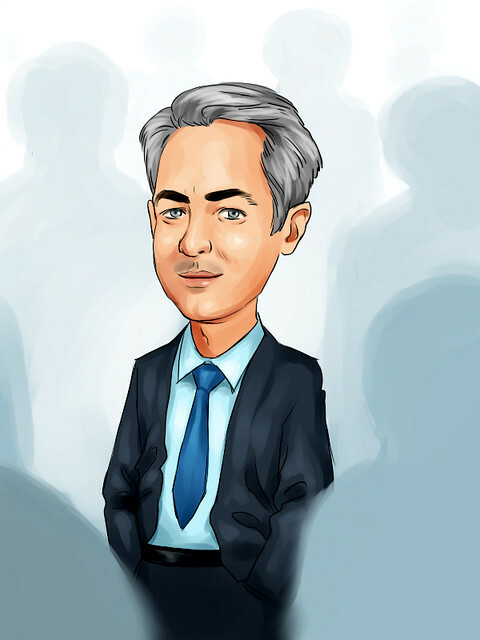 We think that the probabilities of our current positioning to perform well are high. We hope that when the considerable risks that we see ahead materialize, most of our investors were able to reduce risks accordingly.